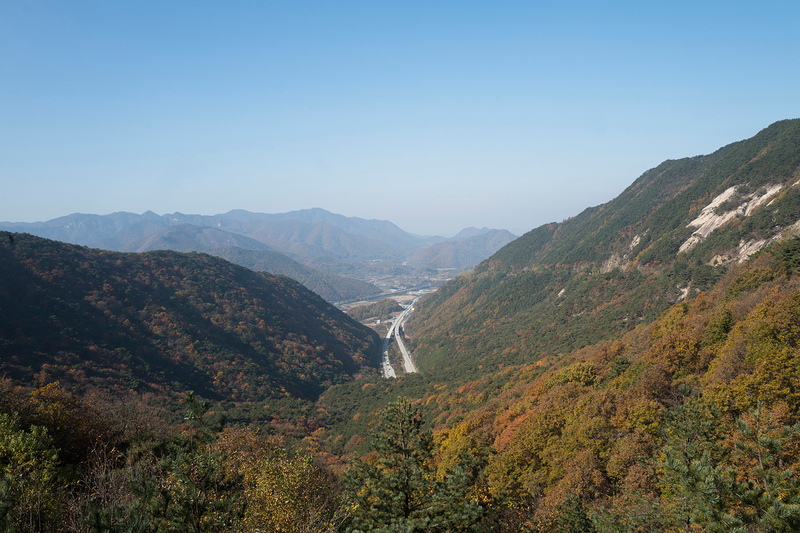 Each of the past four years we have visited South Korea, and always in the late autumn. We love it there in October and November since the colours are absolutely stunning. 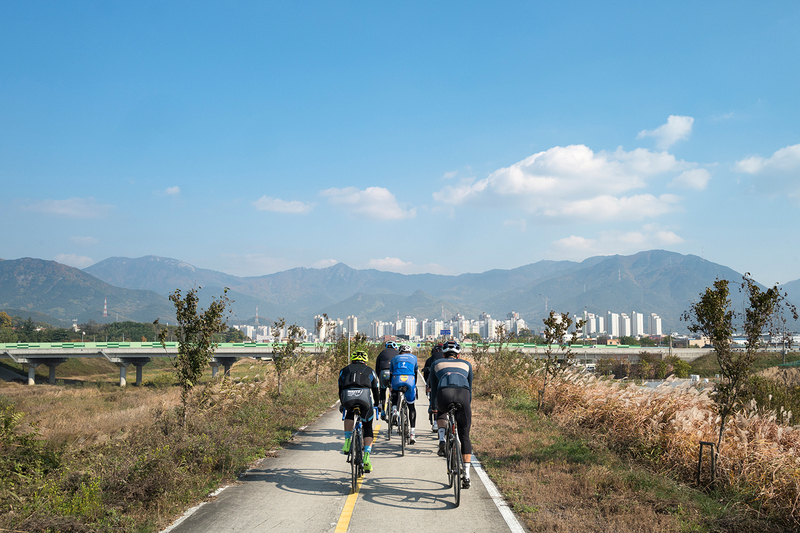 This year, Watts Cycling Seoul, our retail partner, organised a charity ride across South Korea. The intention was to raise funds for various charities. 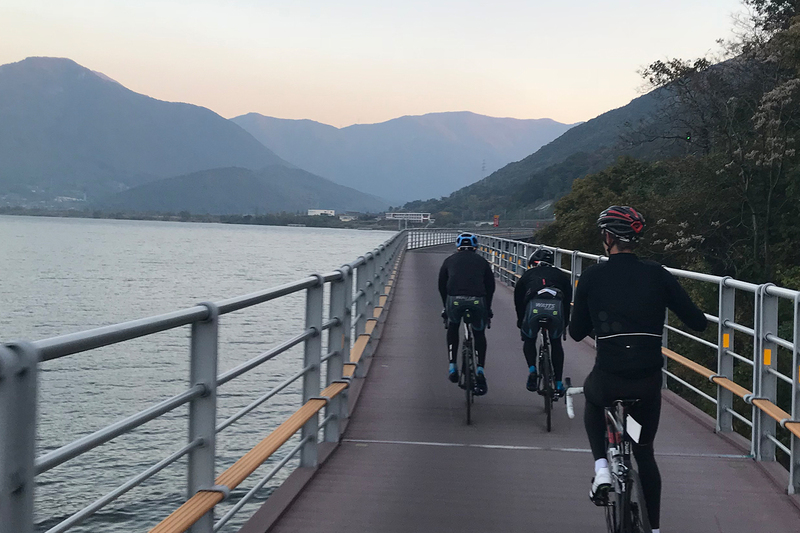 The route was suitably difficult and interesting, since it started in the port city of Busan on the very southern tip of the country, and then cut its way north 530km to finish in Seoul. 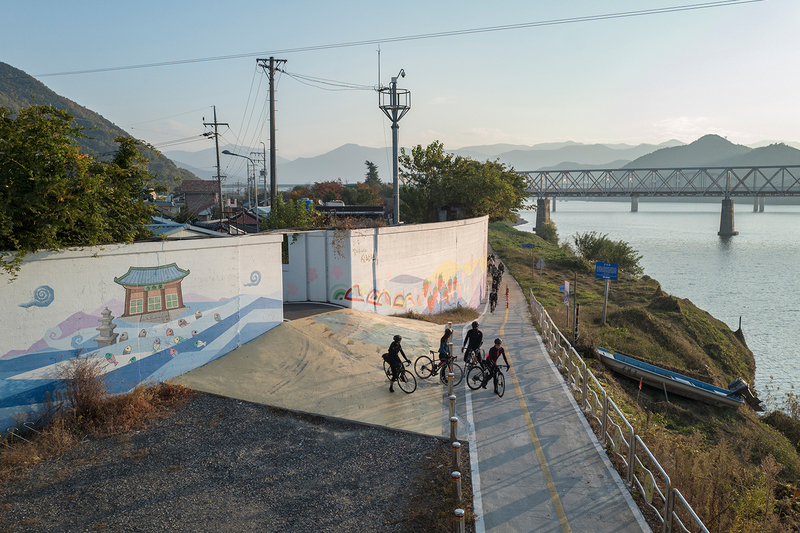 Happily, the entire route was on a bike path – what is likely the longest in the world – and along the banks of the river Nakdonggang, which is the longest river in South Korea. Different teams were divided according to their desired speeds. Peter chose to ride with a team that would ride at a more mellow pace, and I was riding with members of the Watts Racing team. Fresh off my racing season, I started off in a slightly faster group. We all set out together in Busan when it was still dark outside, shortly before 6am. It was chilly and there was a strong wind coming off the sea. Once the sun appeared, we could enjoy the views and shake off the morning chill. 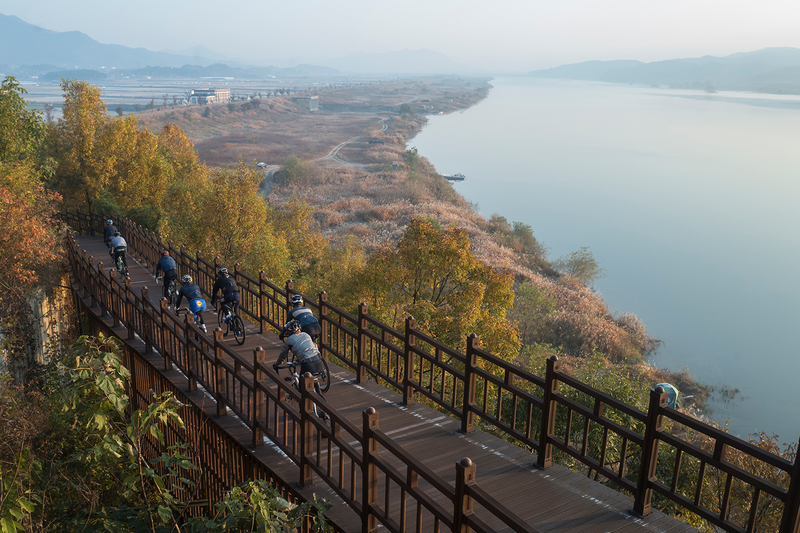 Riding on the traffic-less, tranquil bike paths along the peaceful riverbank was a real pleasure. As the morning progressed, Peter’s group merged with mine, which ended up being quite an advantage since more riders could take pulls on the front. That strength in numbers ended up being crucial later in the day. 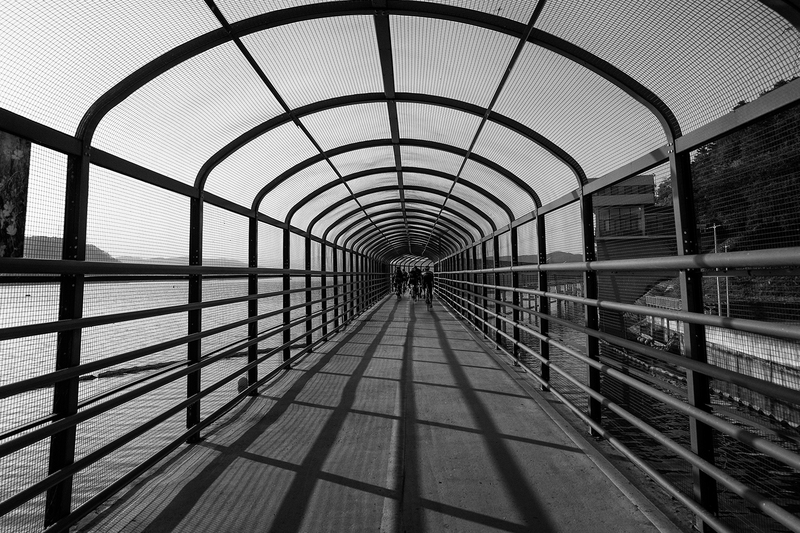 On the bike path, we wound our way through little parks, playgrounds, rural idylls and over elevated footbridges. The ride was long, but the atmosphere was very pleasant. We stopped for lunch after about 5 hours of riding, having covered around 140km. 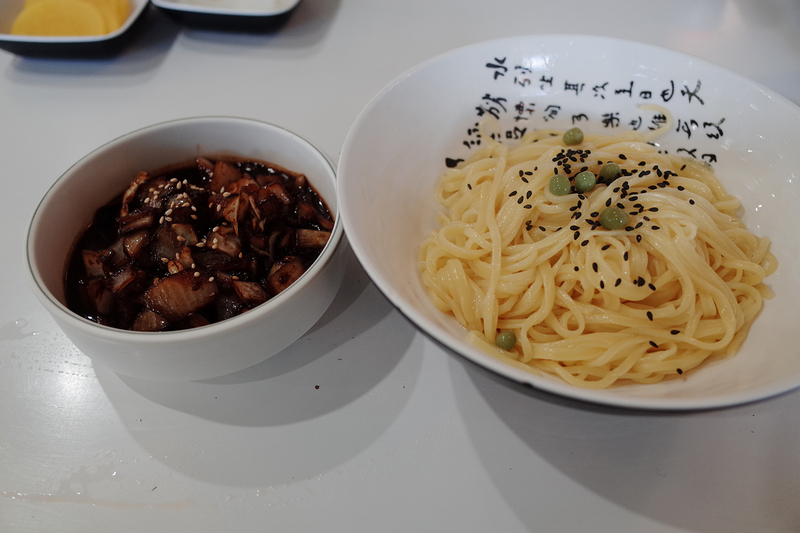 We had a typical Korean lunch in a tiny restaurant that we washed down with gallons of cola and coffee. We knew that keeping alert would be part of the challenge for the second half of the day. For our second stop, we raided a small bakery in a pretty large city, where we basically bought out the store. 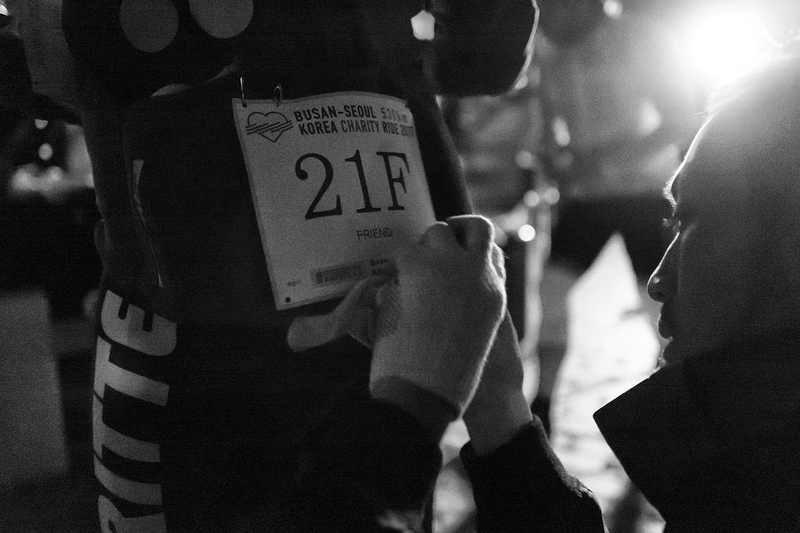 With over 200km already in our legs for the day, we were hungry for anything they had. 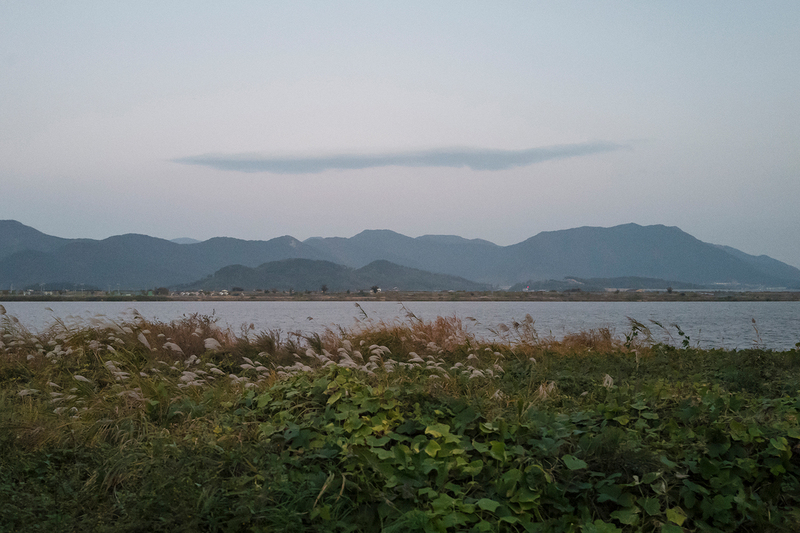 Finally, we were able to climb off the bike in Sangju. We had lost our way a bit near the end, so we rode even further than we normally would have had to. So in those ten and a half hours, we covered about 270km. That was the longest day we ever had had on a bike. But there was more to come. Day 2 required another early rise and chilly breakfast. 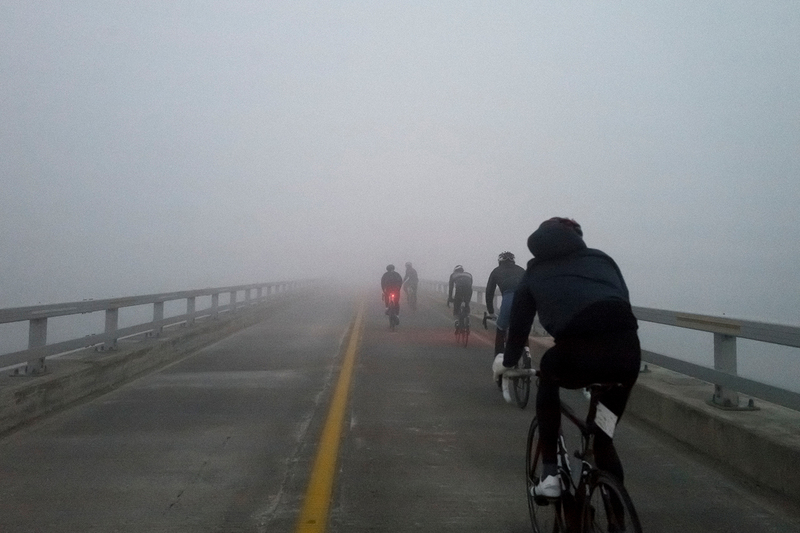 The first hour was spent in the dark, and this time sunrise offered little relief since we were riding in a thick fog. 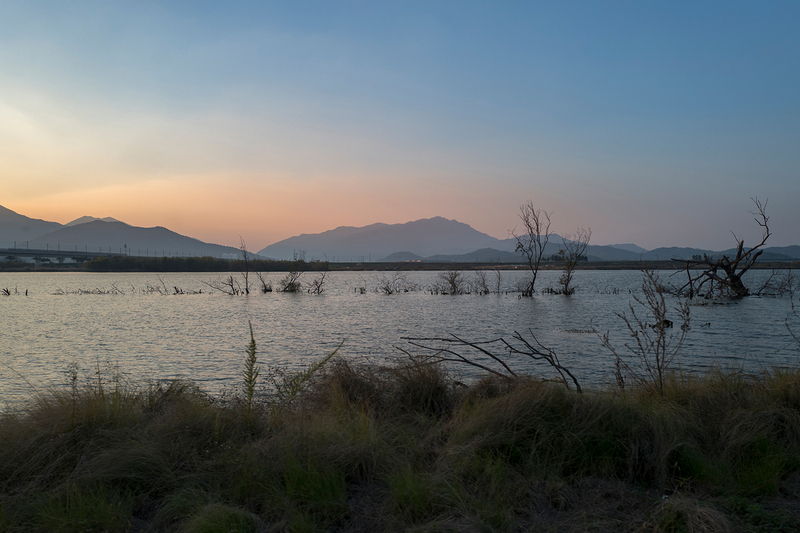 Though the temperature hovered above the freezing mark, it felt even colder. For today, we planned on making more but shorter stops, just enough time to load up on restorative coffees and pastries. We’d have to rely on a sugar high to get us through the day. The route proved a little harder on the second day, with more climbing, though it was no less beautiful or peaceful on the bike path and small roads which were dedicated to cyclists. Nevertheless, it was a bit of a slog that first half of the day. We were tired from the day before. It may seem funny to admit, but those first three hours of the day were just about the toughest I ever spent on a bike in my entire cycling career. We were constantly cold, hungry, and just seemed to be making absolutely no progress. But one of the great things about being on a bike is that you can go from feeling terrible to feeling not so terrible quite quickly. It took a couple of sugar-filled rest stops for me, but eventually, I started to feel more like myself on a bike. That doesn’t mean everything was perfect all of a sudden. In fact, I ended up breaking a spoke on my rear wheel, though I should consider myself very lucky since the wheel amazingly was still able to work! Peter’s electronic shifting battery ran flat midway through the day, but he was able to connect his derailleur to my battery so we could at least get him in a gear that he could ride to the next city so he could get his charged up. At least that was a good excuse to take a longer lunch. When we finally started to see traffic signs indicating Seoul was only 140km away, we found that strangely encouraging. 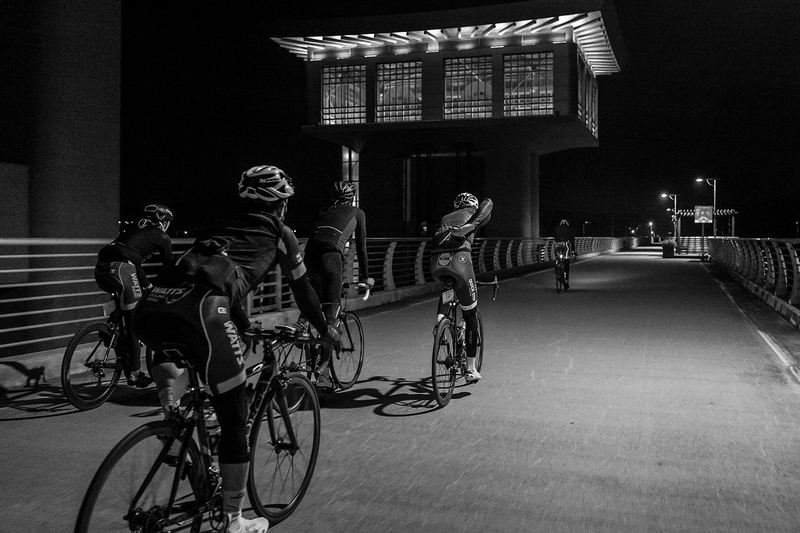 And though the final 40km were ridden in the dark, we were finally finding our legs, and really drilling the pace. 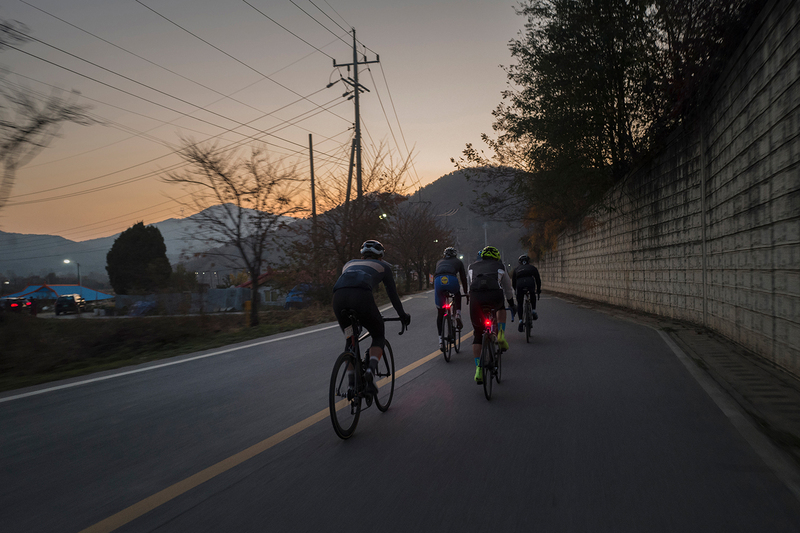 Luckily we had the benefit of the Seoul street lighting, even if it was pretty chilly again now that the sun had set and we were riding along the river once more. But it was amazing to feel right on a bike again. Those are the moments that define why we all ride. 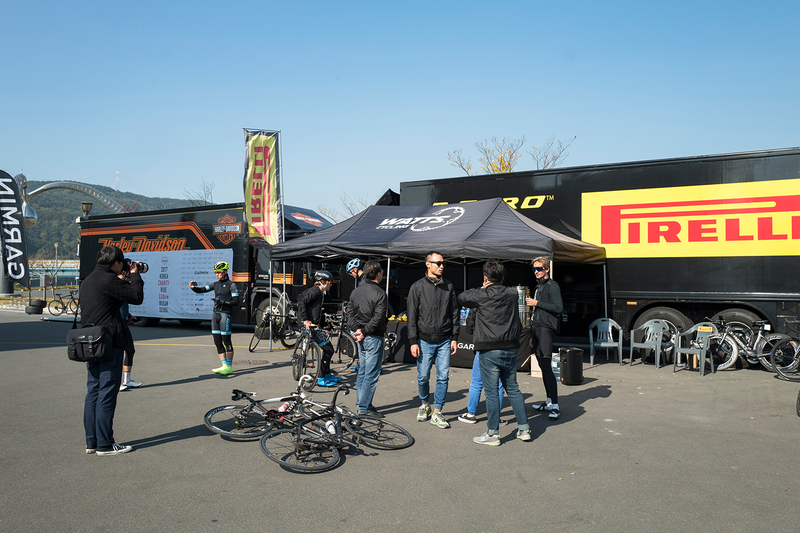 After nine and a half hours of riding, we finally reached the Watts Hannam Store in Seoul. With 250km covered, this was the second longest ride in my life. We knew it wouldn’t be easy, but it was an amazing experience. It tested all our physical and mental strength. It was a ride to remember.